Finland before the WWII. 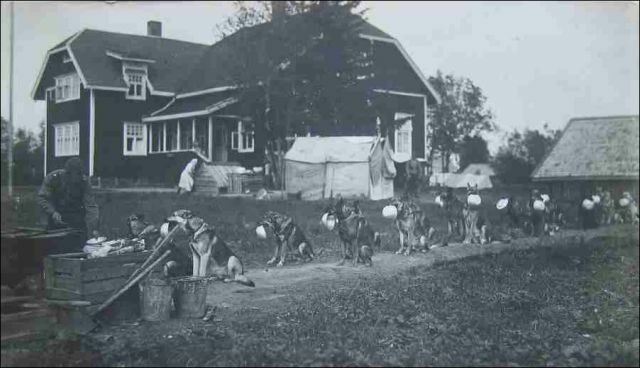 Border guard dogs are sitting in line waiting for lunch at the training base in Salmi. Hip it if you like it!